Photo 1 of 22, SOLD ! 1951 Chevy 3100 5 Window Truck! SOLD ! 1951 Chevy 3100 5 Window Truck! 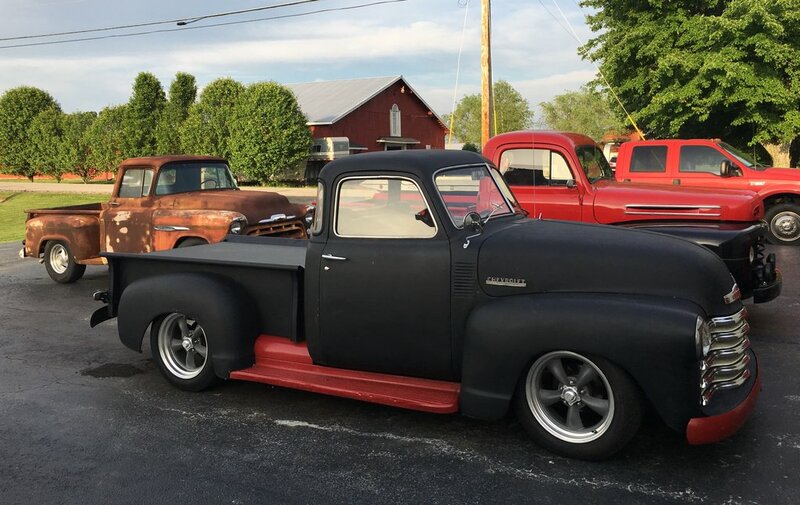 1951 Chevy 3100 5 Window Truck! V8 LS Engine, 3L60 Trans! PS, 4 Wheel Power Disc Brakes! Good solid truck that you can drive anywhere! Nice Tires and Wheels! Flowmaster Exhaust! Lights, Wipers, Heat & Air....Turn Signals all work. Truck has been driven on several two hour trips! This 51 will be sold with a KY Rebuilt Title! Good solid driver for the money! Phone 606-878-5839 or 606-521-4156. Album by Herman's Classic Cars, LLC. Photos by C. Bowling. 1 - 22 of 22 Total. 9021 Visits.